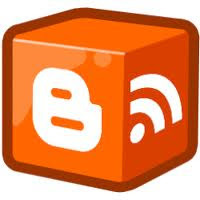 AccessJ: Static Home Page in Blogger - Yes, You Can! Although off subject for this site, this is an entry covering how to create a static home page in Blogger. 2. "Sure, just post-date an article as 2030 or something and it will always be shown as the first entry!!!!" 1. is wrong, 2. is just stupid. Ha, did it! Take that Google idiots! Now all you need to do is replace the "Google idiots" text with something of your own. CSS etc. declared elsewhere in the template will still apply. Obviously, change the YourBlogURL to... your blog URL. The number after "max-result" is how many entries will be displayed when clicked. 1. Back up your template. 2. Create a new temporary blog site and import your template into that. 3. On the temporary site, delete the Home Page code completely. 4. You can now edit the default template to how you want it. 5. Re-add the code (copy and paste from the "official" site's template). 7. Back up the new template and import it to your "official" blog. i dont see the "body" word on my home page.. do you mean "tbody"? there are 2 of those listed in my HTML format so its still not working - ah! can you help? No, it's body and it's definitely there. View the HTML of your template. Search for body.